Awabuki viburnum or Awabuki sweet viburnum (Viburnum odoratissimum var. Awabuki) grows in USDA hardiness zones 9 to 11 and is not native to North America. The United States Forest Service recommends this shrub for container plantings, hedges, buffer strips and lawns. Awabuki viburnum bears fragrant white blossoms each spring and ornamental red berries in the summer. Mature viburnum shrubs can grow up to 18 feet tall, though gardeners can keep them shorter through pruning. Check over the Awabuki viburnum, noting any dead, diseased or damaged branches that need to be removed. Diseased or damaged branches may appear marred, wounded, discolored or bear galls. Dead branches feel hollow and do not move in the wind. 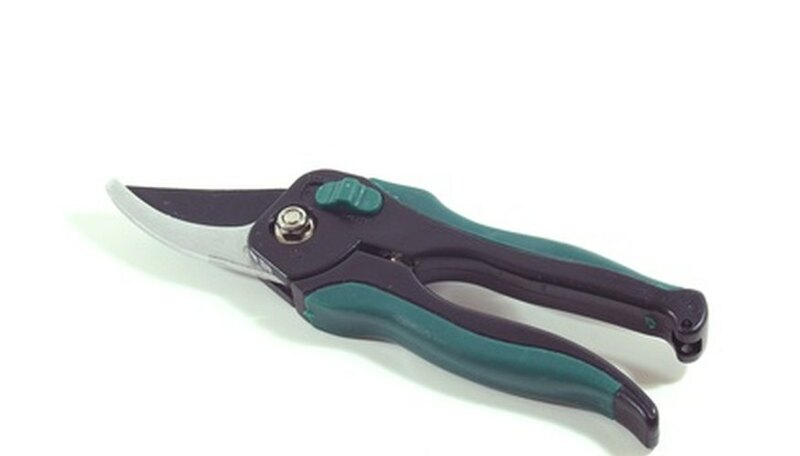 Prune off dead, diseased or damaged branches using hand-held pruning shears for thin limbs and lopping shears for those thicker than 1 inch. Discard all clippings in the garbage bin and sanitize your pruning tools after every cut by spraying them with disinfectant. This prevents you from accidentally spreading disease while pruning. Thin out the branches on your Awabuki viburnum, removing the oldest stems at the base of by cutting back to a lateral branch. Remove up to one-third of the viburnum's branches, choosing those that are old or weak. Clip off branches that rub up against other branches, because their friction causes damage. Head back the branches to shorten them, cutting back to a lateral branch or to just before a node of swollen tissue. Determine how tall you want the Awabuki viburnum to be, then cut the branches back to that height. This promotes the development of new lateral branches and prevents your viburnum from looking too leggy as it grows, especially because you've only removing one-third of the old branches each time you prune. Work one branch at a time and do not trim the viburnum with hedge clippers.